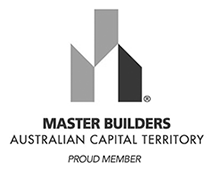 The Property Stylists Canberra (TPS) is a dynamic team that will transform your home into a vibrant and highly marketable space. We will showcase your property with style, warmth, and enlarge the look of each room with outstanding furniture placement. Pre-sale staging enhances your property’s sale potential. The result will more than cover your investment by securing the highest return on your asset. HIGHER SELLING PRICE – The styled properties by TPS statistically sell for between 7-15% over the asking price with less time on the market. More than 80% of buyers research properties online before they visit. Immaculate staging and photography is a must. EXPERIENCE – We’ve operated in the Canberra market for over 6 years and are renowned for our expertise. In fact, 99% of TPS Canberra styled homes sold within five weeks. Our experience speaks for itself. TRUSTWORTHY – The TPS team is knowledgeable and experienced with buyer trends, styles, and preferences. We are gifted in the ability to create a style specific to your property that secures potential buyers at your door. FAST & FRIENDLY – We provide friendly customer service that begins from the moment we pick up the phone. Free, no-obligation quotes in-writing are delivered within one week of your first contact. We are dedicated to quick service that will benefit your schedule and timeline. Do you wish to obtain obligation free quote for your property? Or simply want to find out more about our services? Many thanks it has been a pleasure to have dealt with your business and will definitely be in touch for any future requirements. WOW !!! What a great job you have done with making our townhouse look beautiful!!!! We were speechless when we walked in on Saturday!! You and your team have done a great job and would recommend you to anyone! Aww wow TPS , this looks AMAZING! Thank you so much. We loved the way you styled the house and I feel sure the ambiance you created had a lot to do with the quick sale. Many thanks for your skill and style…..it was just what we wanted! The styling in Phillip received a lot of positive attention. Very sassy and so right for the terrace house. Thanks TPS – Please thank the rest of the team for us, the furniture looked fantastic and really helped with the marketing.